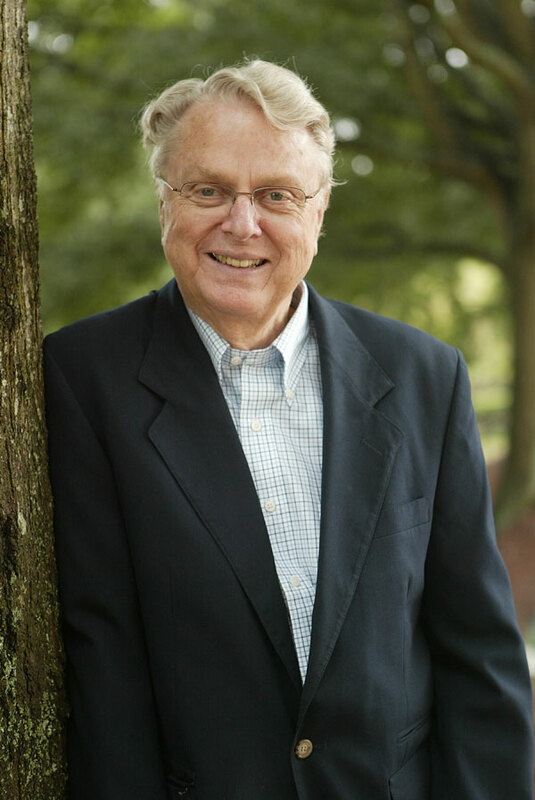 A native of Walla Walla, Washington, Dr. Wilton Bunch came to Samford 10 years ago to teach ethics in the Beeson Divinity School. After teaching 7 years in the Divinity School, Dr. Bunch transferred to the philosophy department where he currently teaches. Dr. Bunch usually teaches the Introduction to Scientific Inquiry in the Fellows Program, Christian Ethics, and Medical Ethics. In the spring semester of 2011, Dr. Bunch will begin teaching a new class called Medical Humanities. This class will examine literature that deals with medical situations in order to analyze the ethical implications in the medical field. Currently, Dr. Bunch is researching the changes of moral reasoning of students within the Fellows Program during their time in college. Dr. Bunch decided he wanted to teach in college after working under teaching-learning based environments. Influenced by other teachers he had throughout his education, he now teaches classes in a discussion-based format. "Aristotle Speaks to Independent Medical Examiners" American Academy of Orthopaedic Surgeons, Las Vegas, Feb 26, 2009. "Ethics in Clinical Research," North American Spine Society, Austin TX, Oct. 24, 2007. "Why Worry about Conflict-of-Interest?" North American Spine Society, Austin TX, Oct. 24, 2007. "Ethics in the Medical Tradition," North American Spine Society, Seattle, WA, Oct 27, 2006. "Business and Spirituality: Oxymoron or Opportunity?" Convention of Evangelical Business School Teachers, Andrews University, Berrien Springs, MI July 14, 2005. "Epistemology and Ethics of Independent Medical Examinations" American Academy of Orthopaedic Surgeons, Washington DC, Feb. 25, 2005. "Why are Christians so Upset about Stem Cells: Is it Reasonable?" UAB Campus Ministry Association. UAB Campus Ministry Association, Oct 26, 2004. "Informed Consent in Athletes: An Oxymoron." Association of Bone and Joint Surgeons, Nashville, TN, June 2004. "Ethics in Medical Practice," Physician's Retreat, Barnsley Gardens, GA. Feb. 2004. "Death and Dying," Cathedral Church of the Advent, Birmingham, AL, Jan. 2004. "Ethical Issues for Older Christians" St. Luke’s Episcopal Church, Mountain Brook, AL, 4 lectures, March 2003. "Moral Reasoning in Evangelical Divinity Students" Society for Christian Ethics, Pittsburgh, PA Jan 2003. "Ethics in the P & O Profession" AAPO, Orlando, Fl, March 2002. "Can Ethics be Taught?" Faculty, Samford University, Birmingham, Sept.2001. "The Gene Myth: Genetic Determinism" SUNY-Buffalo, NY. Buffalo General Hospital, Nov. 6, 2000. "Ethics and Gene Therapy," University of South Florida Honors Program, Tampa FL. March 2000.